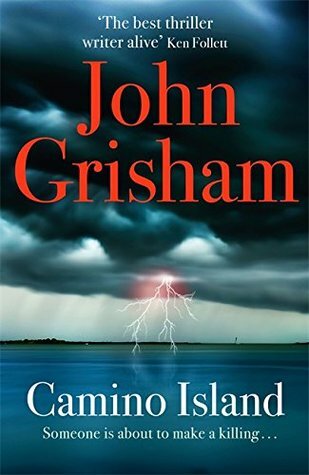 It's been a long time since I've read a novel by John Grisham, but Camino Island was the perfect book to bring me back to his work. Starting with a flawless and well-planned heist and the theft of five of F. Scott Fitzgerald's original manuscripts from Princeton University, the FBI is hot on the trail of the thieves. 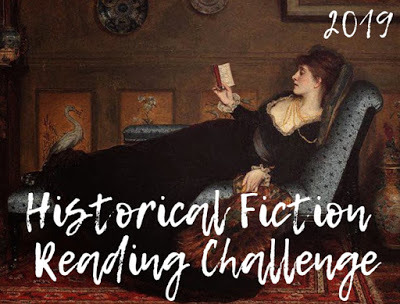 With a plot centred around stolen manuscripts, a suspect who owns a bookshop and surrounds himself by a quirky group of local writers, I certainly felt myself in good hands and familiar territory. Camino Island is an enjoyable and entertaining read, and perfect for readers who are sick of wading through crime novels with ever-increasing body counts and violence. Told from the perspective of an undercover wannabe author, there's no sign of the flawed FBI agent or an edge of your seat race-against-time thriller to raise the blood pressure. Camino Island is located safely on the reading scale somewhere between cozy crime and crime thriller and was an enjoyable read. Recommended for book-lovers. 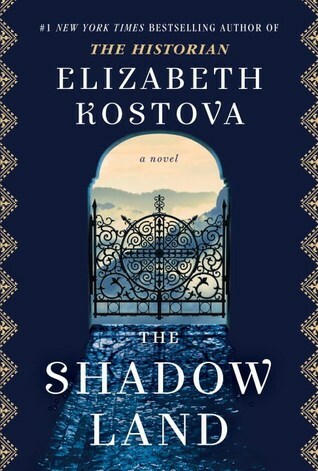 Elizabeth Kostova is the author of one of my favourite books of all time, The Historian. Despite releasing The Swan Thieves in 2010 (which I didn't read), it was with some trepidation and high expectation that I picked up her 2017 release, The Shadow Land after winning a copy in a GoodReads giveaway. I love the cover design and the 450+ pages promised to be a juicy read, but sadly it didn't live up to my expectations. 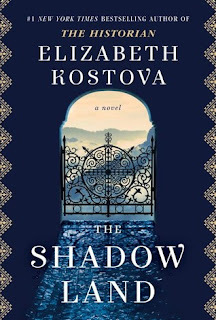 The plot device is interesting: set in Bulgaria, the female protagonist accidentally picks up a bag containing an urn of ashes and then attempts to track down the owner. The book definitely picked up in the entertainment stakes when the owner of the urn's contents was revealed and his life and time in a detainment camp was brought to light in the first person. That section of the book was incredibly moving and inspirational, but I didn't care much for the protagonist, her new friend and her obsession with the urn's owner, so all in all it wasn't the ripping yarn I was hoping for. 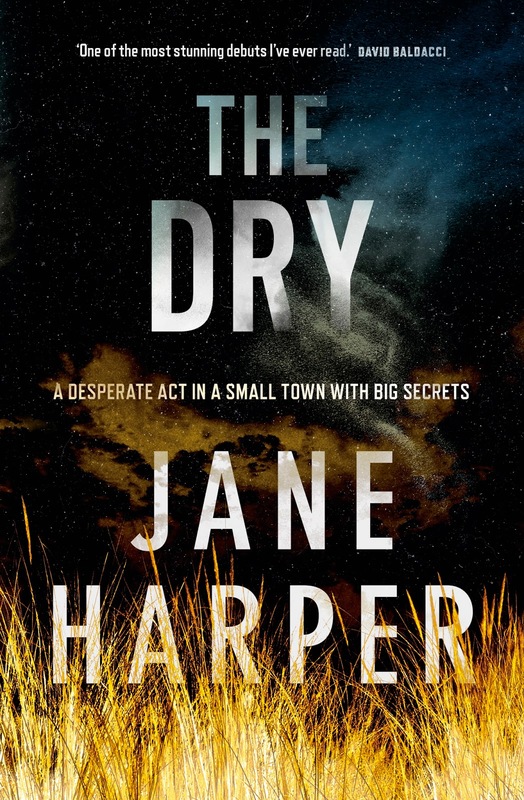 I know I'm late to the party but I just finished reading The Dry by Jane Harper and can honestly say it is worth the hype. Despite having a copy for 11 months (thanks to my GoodReads Melbourne catch-up in August last year) and watching it win the Indie Book of the Year, Indie Book of the Year Debut Fiction for 2017 and ABIA Book of the Year, I've only just read The Dry now. It happens to the best of us doesn't it? Great books lingering in our TBR pile for too long. 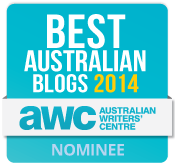 Well, it's no secret this is a debut Australian crime fiction novel and other readers agree it's fantastic. 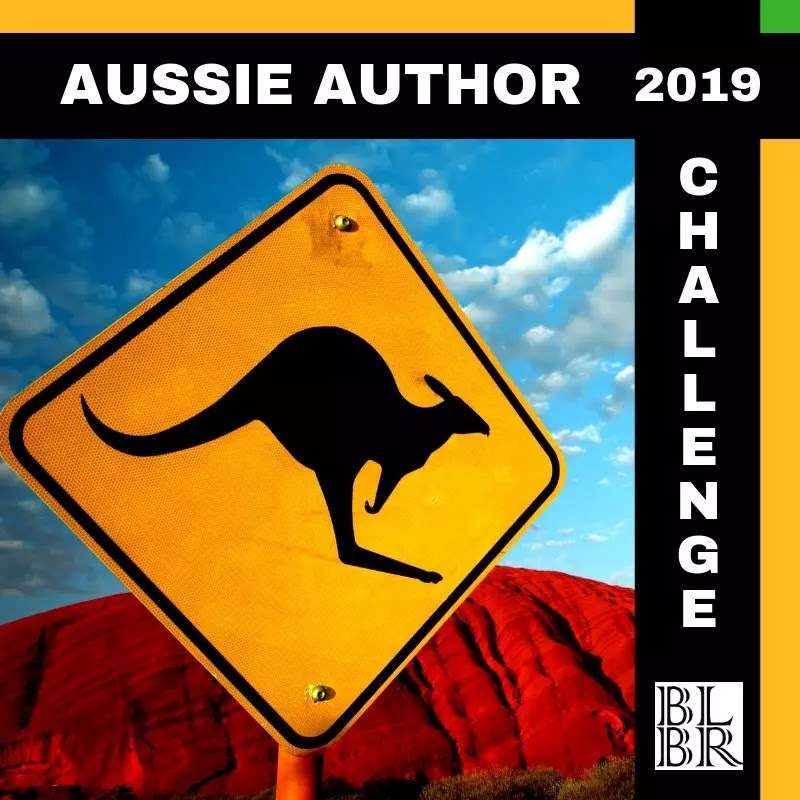 Having grown up in a small country town myself, I found the rural setting, the characters and the dialogue instantly Australian and recognisable without being cliche or over the top. The writing is flawless and it's hard to believe this is a debut novel. Rumours are that The Dry will make it onto the big screen thanks to Reese Witherspoon, but until then, you can read the first chapter of The Dry by Jane Harper here. 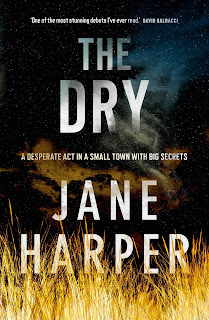 I can highly recommended The Dry and Jane Harper is definitely an Aussie author to watch. I'll be lending it to my Dad next while waiting with baited breath for the next in the series, Force of Nature. 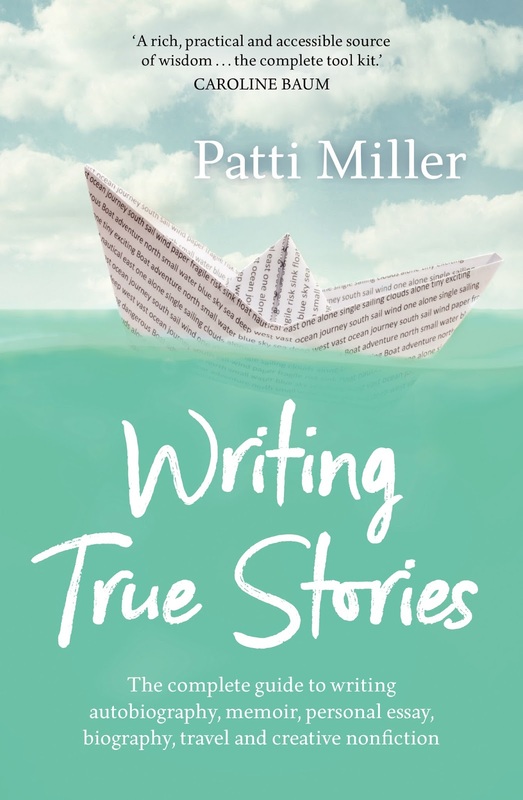 In today's guest post, Patti Miller, award-winning memoirist, nonfiction writer and author of Writing True Stories is going to explore whether memoirs have become more popular than the novel. Is memoir more popular than the novel? It’s a question that implies a rather jealous inter-genre competition between the novel and memoir to be the ‘favourite’, the most admired. It’s a notion I’ve always rejected. 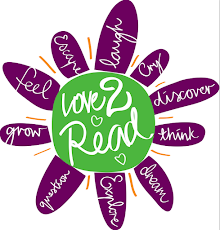 Even though I have spent the last almost 30 years writing and teaching memoir and non-fiction, to me, the novel and memoir, along with poetry, essays and drama, are equally beloved. Historically, there has been a shift in attitudes towards various genres. In the 18th century, poetry and essays had a higher standing than the novel, which was looked down upon as a rather frivolous form. But I suspect the question is not really about standing or value, but about the cold hard facts of sales figures. Which genre sells most? There’s been an explosion in memoir publications since the 1970s, particularly in memoirs by ‘ordinary’ people, i.e. people not already famous for something else. But ‘ordinary’ is a misnomer, because most of memoirists who sell hundreds of thousands of books, have had extraordinary lives. According to Hachette Australia publisher, Sophie Hamley, certain memoirs such as Anh Do’s The Happiest Refugee and Deng Adut’s Songs of a War Boy have spectacular sales, much higher than literary fiction sales. But if popular memoir is compared to popular fiction, then the figures even out. Literary memoir sells about the same as literary fiction - I should add that the terms ‘popular’ and ‘literary’ are not usually applied to memoir, but the distinction clearly exists. 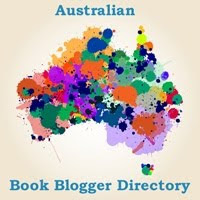 There are literary memoir such as Caroline Baum’s Only, where the language and sensibility are central, and there’s Albert Facey’s A Fortunate Life – published in 1981 and still one of the highest selling books in Australia, 800,000 at last count - where story and character are central. But I suspect both kinds of memoir appeal to readers for the same reasons. Fundamentally, despite our various evils, human beings want to relate and feel with others – we are empathetic – and memoir gives us direct access to the feelings of others in a way that is perhaps more mediated in novels. Also, we want to know how others have survived hardship so that we may learn how to do it ourselves – the triumph of the human spirit over adversity is probably the strongest single theme in any best-selling memoir. And finally, we are sticky-beaks – we are curious about what it is like to be someone else, especially when they have lived a life very different from ours – a movie star or call girl or child soldier. What is it like to have lived your life? To me, that’s the most interesting question. It is why, I, at least, like to read memoir. Thanks so much for your insights Patti. 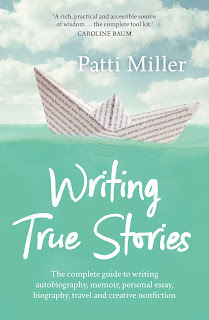 Writing True Stories is Patti's guide to writing autobiography, memoir, personal essay, biography, travel and creative nonfiction. Click here for more info. 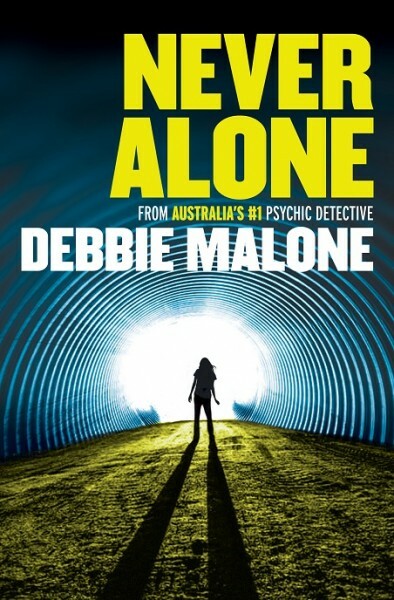 Having read and enjoyed Clues From Beyond by Debbie Malone last month, I picked up Never Alone this month hoping to learn more about Debbie and her psychic gift and certainly wasn't disappointed. In case you don't know, Debbie Malone is a psychic, clairvoyant and medium and was the 2013 Australian Psychic of the Year. She started to see spirits after experiencing six near-death experiences (NDEs) and Never Alone takes the reader through her life from the time she experienced her NDEs and started seeing dead people, to when she began using her gift to help victims of crime. 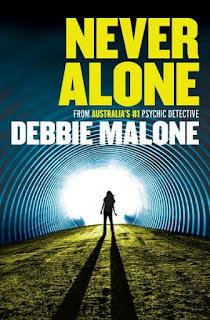 Debbie's experiences working with Australian law enforcement are equally frustrating and rewarding and reading Never Alone is a great introduction to understanding Debbie's psychic talents. "Being a medium can be a very rewarding vocation but at times it can be hard to cope with the responsibility of having knowledge but not being able to do anything about it. I have come to realise that I am only the messenger and it is not my place to save every person that I get a vision about. I think some outcomes are predestined - however, that doesn't take away my frustration and pain when I feel that I haven't done enough to help someone in need". Page 193. Debbie's gift seems like both a gift and a curse, and I admire her strength for continuing to put herself out there; never charging for working with Australian police departments. The cases she works on seem to haunt her (see what I did there?) but jokes aside, I'm not so sure I'd be able to handle myself with the same strength and equanimity she does. I have a personal reading with Debbie Malone in September and I'm really looking forward to that, but in the meantime, stay tuned for my upcoming interview with Debbie very soon. If you have any questions you'd like to ask, feel free to leave them in the comments below or email me if you want to submit them privately. I highly recommend reading Never Alone, and while Clues From Beyond can be read as a stand-alone, I'd begin with this one. Farmageddon In Pictures - The True Cost of Cheap Meat - in bite-sized pieces is a confronting read with a very important message to consumers. Philip Lymbery shines a light into the darkest corners of mega farming and I was shocked to learn just how dire it all is. I think the average consumer is aware of issues like caged animals, the overuse of antibiotics and pesticides, water shortages and the decline of bees around the world. But there's so much more wrong with the factory farming industry I wasn't aware of or hadn't considered. Waste from mega-dairies and factory-farms is ruining the environment and polluting the water. Industrialised pollination is now a 'thing', where bees are commercially bred and transported elsewhere to pollinate crops. Approximately 100 billion farmed fish are produced around the world each year, but it takes 3 tonnes of wild fish to produce 1 tonne of farmed salmon. (Pg 46 & Pg 81). Trout farms don't give fish enough space to swim around and they're packed in so tight, it's the equivalent of 27 trout sharing the same bathtub. Farmageddon In Pictures is full of shocking statistics and pictograms to help the reader digest the information while some of the photos used appeared amateurish and too dark. The author subtly encourages the reader a few times to alter their diet to consume less meat and I can't blame him when he's seen the problems first-hand, but it did ruffle my feathers a little. I guess I don't like being told what to do and would prefer to reach my own conclusions and initiate change on my own. 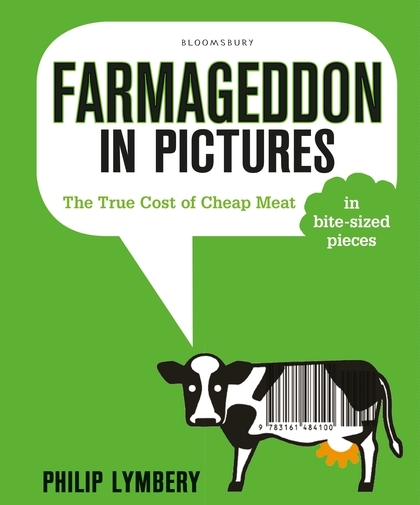 Farmageddon In Pictures is a slightly depressing read due to the nature of the content, but optimistic in encouraging consumers to change their buying and usage habits with a chapter at the end focussing on solutions and positive change. It's also an important read and more consumers need to know where their food comes from and the cost it has on the environment. Congratulations Daniella, you'll receive an email from me today and will have 7 days to provide your mailing address. Your prize will be mailed directly to you from XOUM Publishing and I hope you enjoy this contemporary romance novel. 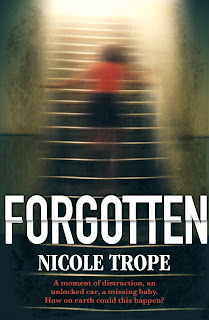 Forgotten by Nicole Trope is a fast-paced race against time to find baby Zach after his mum Malia left him asleep in the car while she ducked in to a shop to buy milk. This is mentioned in the blurb, so don't worry it's not a spoiler, but the suspense quickly builds in the search for Zach. Unfolding from multiple points of view, Detective Ali Greenberg is a realistic and likeable character while elderly nosy parker Edna is a terrific character. Edna lives in a lively boarding house and I really enjoyed her chapters. 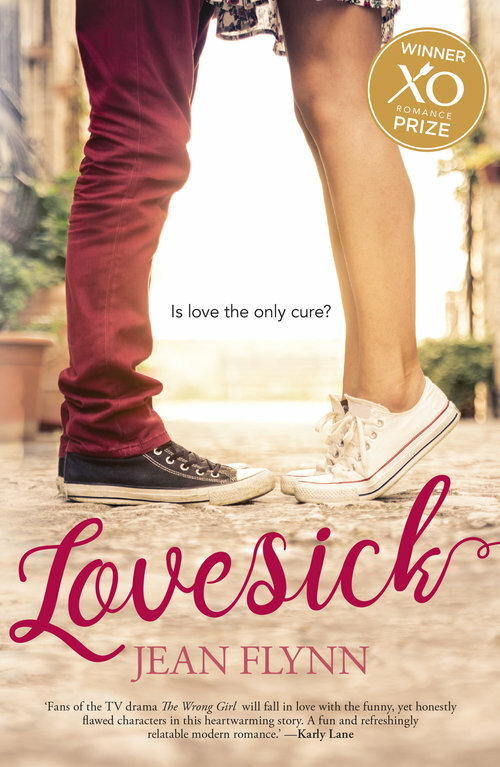 Many readers will find Malia's harried career mum character very relatable and her reaction to Zach's disappearance heartbreaking. The disintegrating dynamic between Malia and her husband is explored and was also well-portrayed. Despite knowing who took Zach, Trope is still able to create palpable tension and has produced a gripping read here. With short chapters and large font, I sped through Forgotten to reach the conclusion and I'm pleased to say it was a satisfying ending. Nicole Trope is an accomplished Australian author with six previous novels under her belt although this is my first time reading one of them. 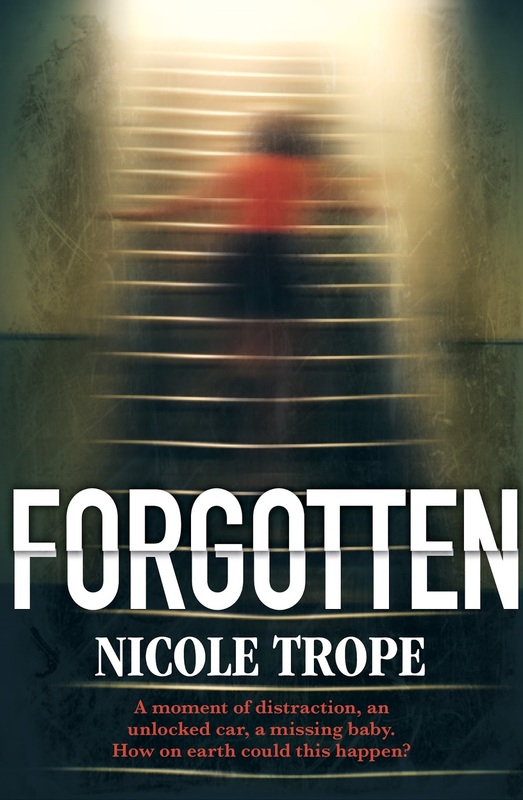 I can highly recommend Forgotten and I'm very tempted to read The Boy Under The Table next.